Ironmongery Experts can provide you all the products you require to put up a new shelf. We offer a range of mitre brackets, twin slot uprights and twin slot brackets. Twin Slot shelving is a very popular wall mounting shelving system, used for both domestic or heavier industrial situations. Twin Slot uprights are fixed to the wall with parallel slots that twin slot brackets fit into. 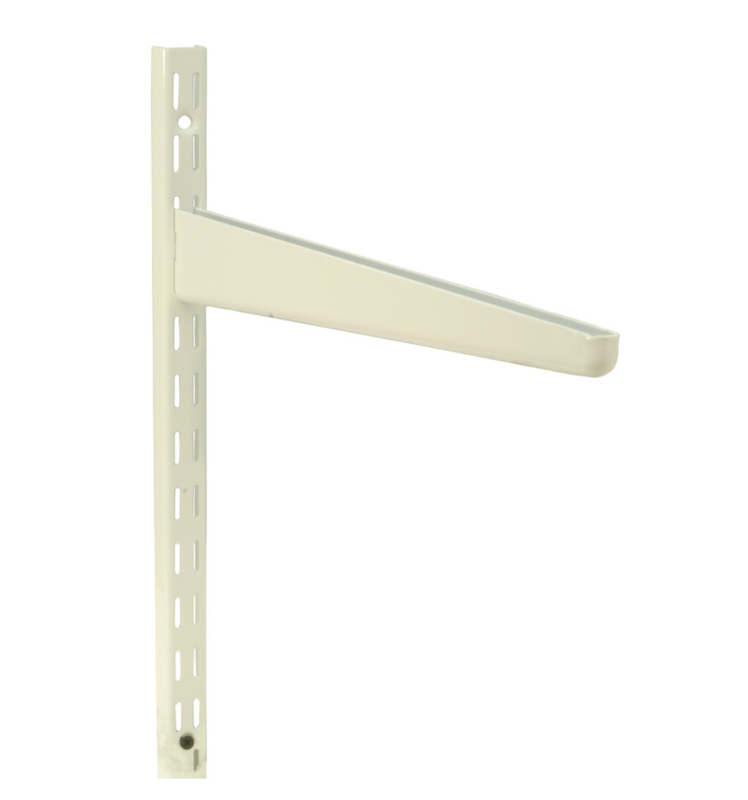 Brackets add strength and support to the shelves. Our high-quality brackets can hold up to 90kg in weight. If you require more information about our shelving products, please contact our knowledgeable team at Ironmongery Experts. We also stock a range of other accessories, such as handrail brackets, hooks, magnetic catches, mortice bolts and much more.